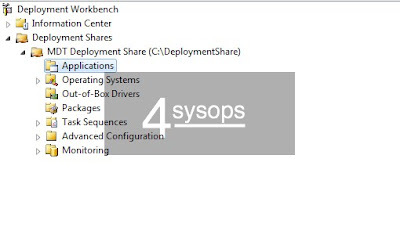 In this article I will demonstrate how to add and remove an application with source files and an application bundle in the Microsoft Deployment Toolkit (MDT) using the GUI and PowerShell. 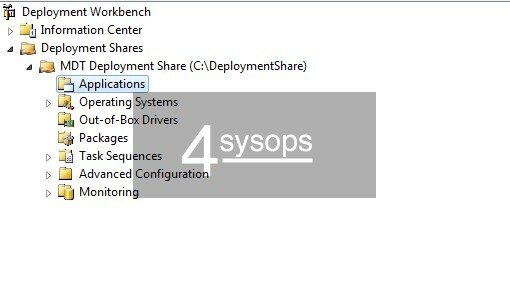 MDT allows you to create operating systems images and you can also add your own applications, packages, device drivers. The toolkit offers many options for application management, for instance, you can organize applications in different folder and handle application dependencies. You can also create application bundles which essentially is just a list of applications. This allows you to combine all applications for a specific branch of your company and install them all together.